Range, this is a home designed in the classic alpine tradition. daylight They are fine tuned for spectacular views and passive solar tempering. year round and is in the tradition of the great mountain resorts of the West. changes without the need to change the high performance building enclosure. elightfully connected to the land and the sky of the northern Sierra Nevada Range, this is a home designed in the classic alpine tradition. 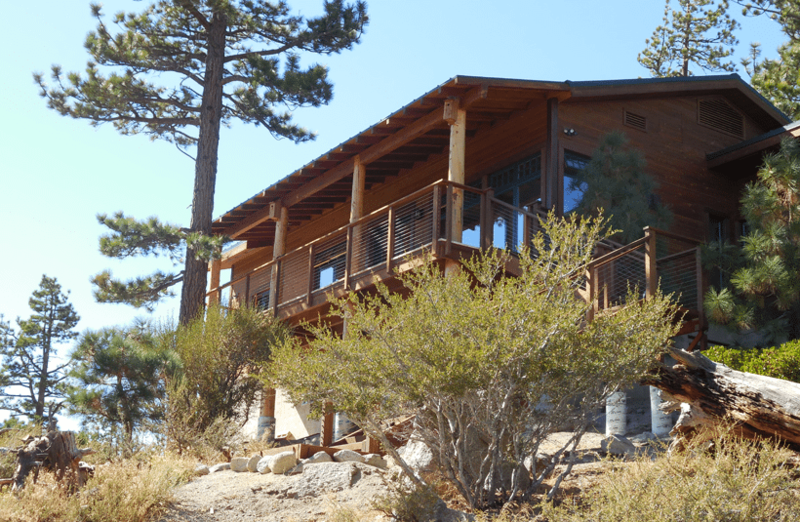 At 7,000 feet elevation, this design exemplifies active high country mountain living. Carefully placed windows all around provide abundant balanced natural daylight They are fine tuned for spectacular views and passive solar tempering. Spacious efficient layouts provide for family activities and include a flexible great room, special crafts room, a cozy window seat alcove area as well as large workshops. Crucial for this climate is the large airlock entry vestibule which also has lots of natural daylight. A generous covered south facing porch can be used year round and is in the tradition of the great mountain resorts of the West. Fine wood crafting is included throughout – from the Douglas Fir log posts that define the look and feel of south exterior to the western red cedar siding to the interior wood trim work. Resilient design features are integral to the design for long term structure life and ease of long term adaptations. Especially important for longevity and moisture control are the deep overhangs and ventilated rainscreens. The simple long span roof and floor truss systems provide maximum flexibility for future changes without the need to change the high performance building enclosure.